Jewish Lights Publishing, 9781580233439, 154pp. Being happy depends on becoming a complete person-- spirituality is the path that leads you to wholeness. "To become complete human beings, to find happiness, we need to develop our human spirits to the fullest. 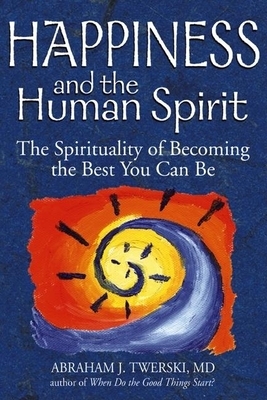 This is what it means to be spiritual: to be the best we can be; to exercise all the qualities and traits that are unique to humankind and that give us the identity as human beings. This spirituality is an integral component of being human, and we cannot have true and enduring happiness without it." For many of us, the journey toward personal and spiritual fulfillment is fraught with unexplained feelings of emptiness in the struggle to reach what seems an elusive and murky goal. It doesn't have to be this way. Using simple, accessible language and clear examples, this wellspring of wisdom shows you that true happiness is attainable once you stop looking outside yourself for the source and realize that it can be found within you. You will identify the unique abilities that comprise your human spirit--such as gratitude, humility, compassion, and generosity--and explore how to use them in ways that will not only remove your feelings of incompleteness, but also allow you to experience happiness in an invigorating and spiritually refreshing way. Based on ancient wisdom and modern psychology, the thoughtful, heartfelt anecdotes and inspiring, easy-to-follow exercises will carry you beyond your present state of discontent and open for you an entirely new path toward becoming the best you you can possibly be.